and we took a group of 2nd graders to see it at the local University. the scenes and images associated with the melodies I'd grown up loving. 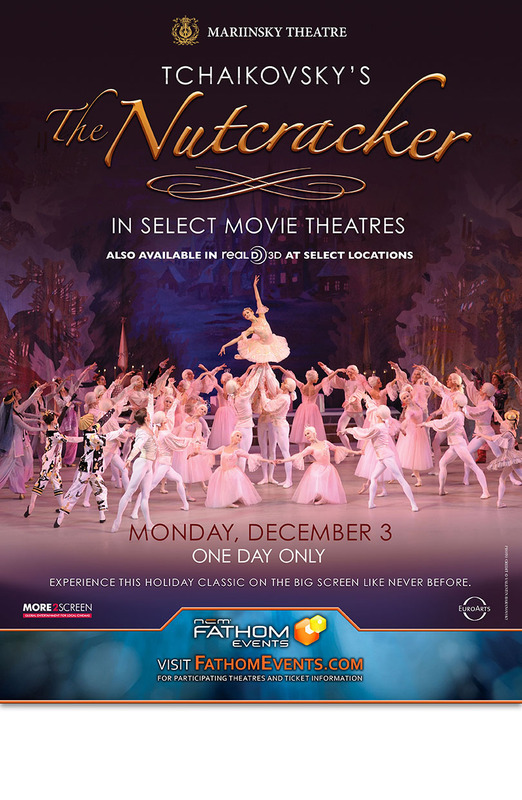 The Nutcracker ballet returns to NCM Fathom Events this holiday season and for the first time ever will be shown in RealD 3D in select locations. 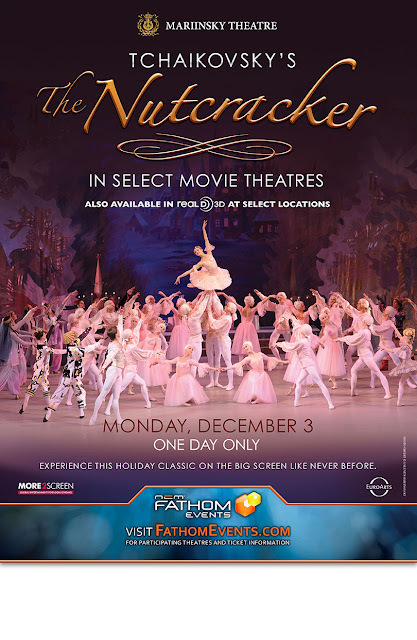 In collaboration with More2Screen and EuroArts Music, Tchaikovsky’s The Nutcracker will be broadcast to movie theaters nationwide on Monday, December 3 at 2:00 p.m. and 7:30 p.m. (local time). The Russian Imperial Mariinsky Theatre was the original home to Pyotr Tchaikovsky’s The Nutcracker in 1892, when it made its worldwide debut. Movie theater audiences will experience the marvelous talents of two of the Mariinsky Theatre’s rising stars – Alina Somova as Clara (Masha in the original Russian ballet) and Vladimir Shklyarov as the Nutcracker. Conducted by Valery Gergiev, this timeless production of The Nutcracker opens with a Christmas Eve party and a young girl, Clara, being given a nutcracker doll by her godfather, Drosselmeyer. Later in the evening when Clara sleeps, she finds herself in the midst of the Nutcracker’s battle against the Mouse King and his army of mice. Coming to Clara’s aid, the Nutcracker is transformed into a Prince and journeys with her to an enchanted island where spectacular celebrations are held in their honor. I have tickets to giveaway to you!!!! It's open to Orange County residents that will use the tickets. Please only enter if you're able to attend the showing. There are two separate giveaways - one for the 2:00 showing and one for the 7:30pm showing. Please feel free to enter both if you can attend both. I want to take my daughter! I would love to go on a date night for this! Thx for sharing! Great fun idea to celebrate the holidays.